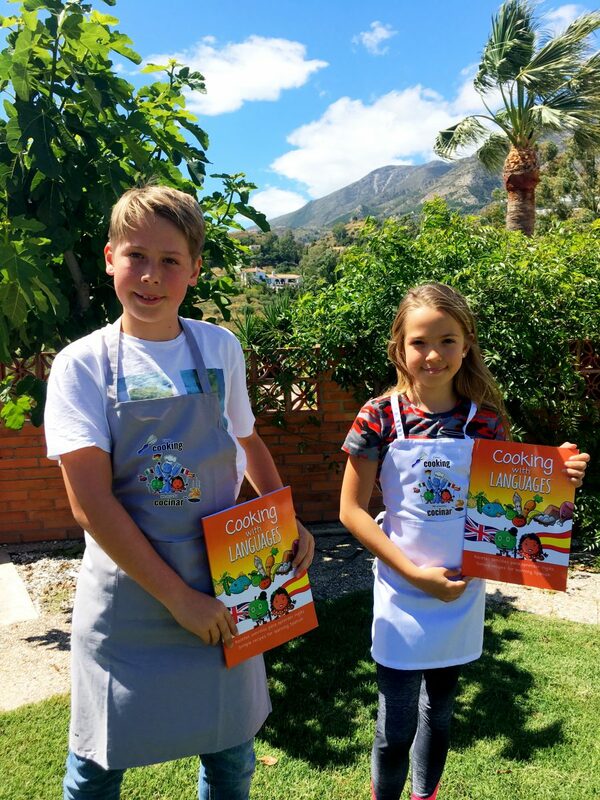 Cooking can be a messy activity, but we all know that’s part of the fun – especially when you are having a creative learning day in the kitchen with your children. 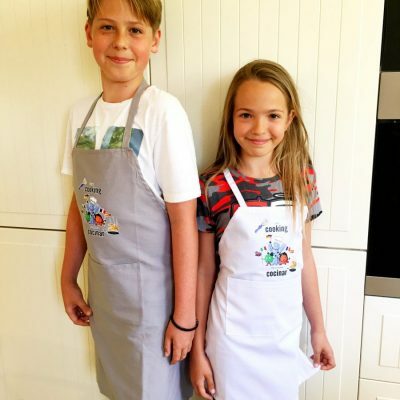 Protect their clothes with this 100% cotton apron, featuring their favourite characters from the book, and easily machine-washed after they have helped with the clearing up. 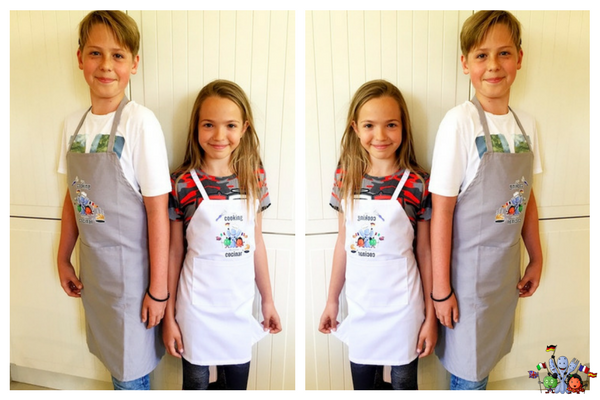 A very special 100% cotton apron. With a strap to go around the neck, and another two straps to tie behind. Kitchen and fashion, all in one.